Thank you to guest writer Britta Jensen of the Department of Earth and Atmospheric Science, University of Alberta, for this interesting post about the impact volcanoes have had on our province. It is safe to say that when people think of Alberta they rarely think of volcanoes. Prairies, check; mountains, check; boreal forest, check; volcanoes, ummm, no? This is a fair reaction because Alberta can’t currently claim a single volcano. However, take a look at a map and you can see that we aren’t actually that far, relatively speaking, from the impressive volcanic peaks that dot the west coast – Mount St. Helens, Rainier, Baker, Meager, to name a few. Far enough to avoid the damaging effects of an eruption? Perhaps not. On May 18th 1980, Albertans learned that we are close enough to have our province impacted by major volcanic eruptions. The eruption of Mount St. Helens, which killed 57 people locally, spread ash far and wide. Enough ash accumulated in southern Alberta to cause problems, with reduced visibility, vehicles, and people with respiratory illnesses. A light dusting of ash was even reported as far north as Edmonton. No visible layer of that eruption remains on the landscape of Alberta. But what about the past? 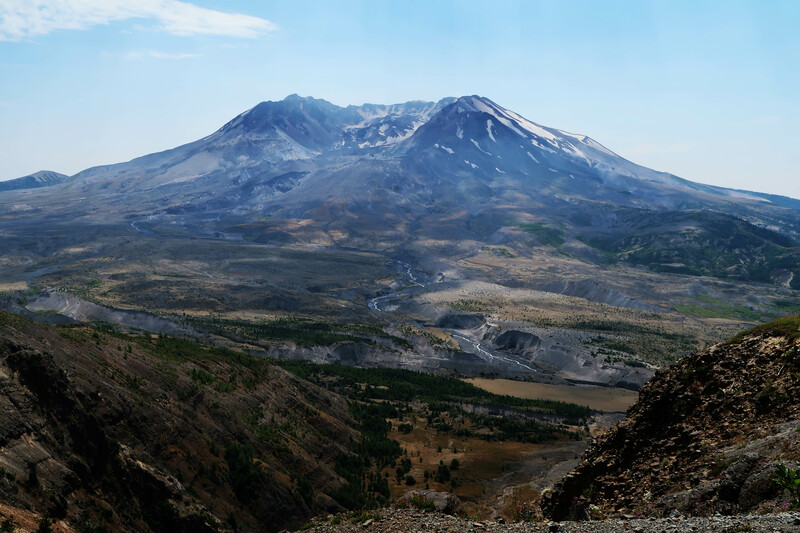 Mount St. Helens, Washington State, summer 2017. View of the north-face that collapsed in 1980 (Photo Credit: Britta Jensen). Nominations for the Alberta Historical Resources Foundation’s Heritage Awards 2018 are now open. Help us honour and celebrate the outstanding contributions of Albertans to the promotion and preservation of Alberta’s heritage. This is the 7th biennial Heritage Awards since its reintroduction in 2005. Awards will be presented in the Heritage Conservation, Heritage Awareness and Outstanding Achievement categories. In addition, the Foundation is proud to introduce the Indigenous Heritage and Youth Heritage Awards this year. Awards will be presented during an awards ceremony on October 12, 2018.
Who are the heritage heroes in your community? Complete your nominations now. Deadline for submission is July 15. For a copy of the guidelines and nomination form, visit https://alberta.ca/heritage-awards.aspx or contact the Program Coordinator at 780-431-2305 (toll-free by first dialing 310-000) or Carina.Naranjilla@gov.ab.ca. Whether excavating archaeological sites or surveying the land in search of undiscovered ones, archaeologists create data. That data can take the form of field journals, artifact catalogues, GPS tracks and waypoints, photographs, excavation plans, level records, site forms, and reports. It is often said that for every month spent in the field, an archaeologist will spend a year in the lab and the office processing the field data they collected. Thursday, March 8th marks International Women’s Day. This year we honour the memory, achievements and spirit of Yahe–Weha (mountain woman, as she was known to the Stoney), Mary Schäffer Warren. 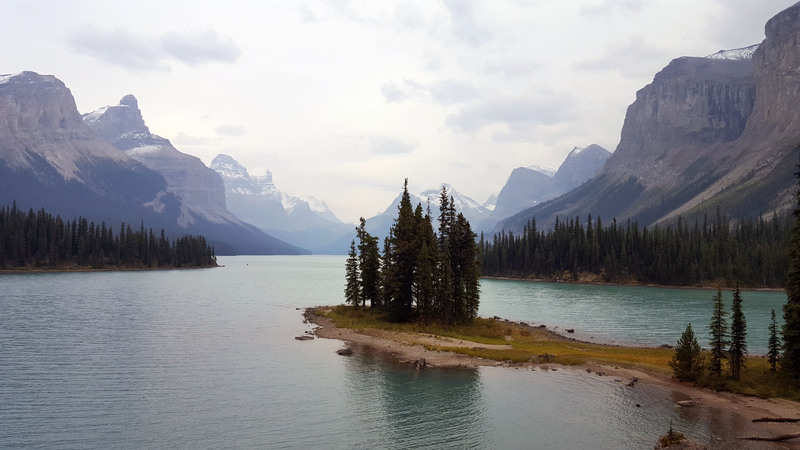 A view towards Spirit Island, Maligne Lake, Jasper National Park (taken by the author, September 2017).